Hi, I like the website. Thanks. Now, after searching around in it, I am wondering if anyone connected to the Lawrence family has a photo of the Lawrence Bros. shop. Or anything to tell me about Joe Sparks and his wife. I live in Melbourne, but my father's family is from Yatton and Wrington. 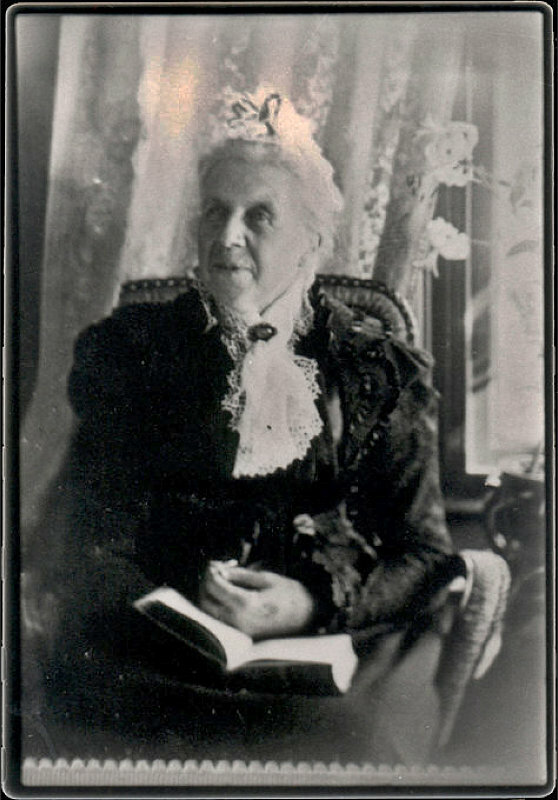 Blanche Sparks née Lawrence was sister to my great grandmother Susan Laura Lawrence. In the first photo I enclose, the man in the centre (with little hair) is Joseph Sparks, husband to Blanche (the woman on the left. The central woman is S.L. Lawrence (though here surnamed Collings). The photo was likely taken in Yatton. The second photo is of my father's great grandmother, Grandma Lawrence, who would have to be the mother of Blanche and Laura. If Roland Lawrence would like to talk to me that might be of interest to us both. This is for the Shmoose pages, in reply to enquiries made last year by Mick Wainwright in Seaton:. As a Wrington amateur historian, for the last two years or so I have been researching and writing a biography of Horace Swete and have amassed a large amount of material, largely, but not exclusively, from local newspapers. Incidentally, he was born in Redland in Bristol, but moved here in 1854 after qualifying as a surgeon and apothecary at Bristol Medical School. 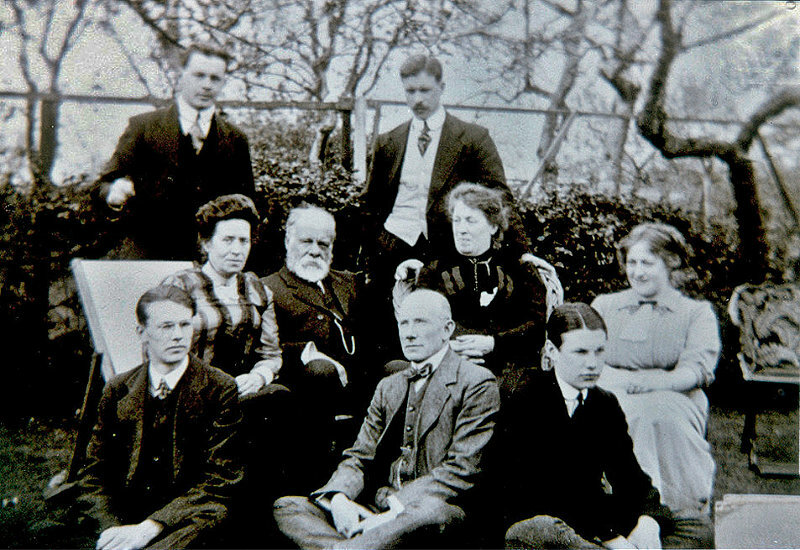 In 1864 he founded the Wrington Village Hospital and that is how I first became aware of him. From here he moved to Weston-super-Mare, where he helped to set up the Sanatorium. He moved on to Leamington Spa, where he became a public analyst. From there he moved to Worcester and took other analyst posts for other towns and became a Medical Officer of Health. He moved back to Weston on retirement and in 1905 his wife died tragically after taking strychnine (which formed part of a mixture she was taking for heart trouble). Horace remarried in 1907 then appears to have moved to Mere in Wiltshire for a short time before finally ending up where you live, in Seaton. He lived in houses of various names throughout his life but I have found no mention of the name Langford in any of my researches. I am planning to publish my book next year. My wife and I plan to visit Seaton before too long to see his last home in Fore Street and thanks to your information we now won't bother to visit the churchyard where he was buried as there is no tombstone. Thanks so much for the info Richard. Very interesting to see where Joseph Pearce lived, and no doubt is related to John. Joseph the younger was my great-great-great-grandfather. I have bizarrely ended up teaching in the village school of Sully where the Pearce family moved to about 1855. I’d love to see who else may be researching the family. Thanks for your help. Hi Paul. many thanks for your thoughts on this. I have recently seen a claim that the Hooper line came from a John Hooper who was a son of Bishop Hooper ?? I am related to the Hoopers of Boveridge and Salisbury, a branch of which ended up in Kelso, America, London and Bristol. Perhaps I am related to your wife ?? Is her tree in Ancestry?? Several years ago, I broke the golden rule of working backwards, and concentrated on finding out as much as I could about the Bishop Hooper himself, who my wife’s family, like yours, believed that they descend from. He had married Anna T’Serclaes a Catholic Belgian lady from an aristocratic family. They had two children Rachel and Daniel. When the Bishop was imprisoned in 1554, Anna and the children fled to the Rhine region, along with many other exiles. Sadly, by 1556 all three of them had died of the plague. There is no other record of the Bishop fathering children, although in one letter he wrote to Heinrich Bullinger, a leading Reformer in Zurich, he does express concern at his enjoyment of the life of old Riley he enjoyed at the Court of King Henry VIII. He was close to Catherine Parr, who was not as staid as she has been portrayed to be, but I was never able to to find evidence of hanky panky, although in general terms it was a period of anything goes. Countless Hooper families all over the world hold this belief of descendancy from the Bishop, which because of the vast numbers could never have been physically possible in toto. But, as described above, on known facts, it is not true for anyone. My wife’s Hoopers are mainly from Somerset and Gloucester, from the towns of Bath, Wells, and the Bristol and Gloucester areas. Please do not hesitate to ask more if you wish. Someone or your website [<https://wringtonsomerset.org.uk/schmoose/schmoose2002.html#Anchor-Pa-29196>] is researching the possibility of being related to Bishop John Hooper . I have just found this record in the Gloucester Archives and it has the same surname of Mulle. The person enquiring is a Pam Mulle. Obviously the same family. Anybody looking for their family tree in Wrington ? ..